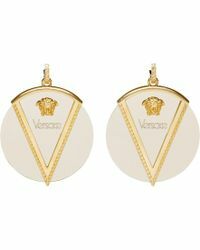 When it comes to their line of earrings, Versace's hallmark style translates into a collection of must-have accessories that re-define the term statement jewellery. 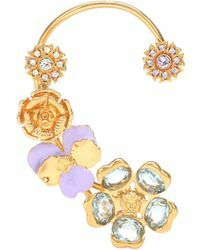 Concise detailing and delicate craftsmanship form these cutting-edge designs, resulting in a line that includes everything from ornate hoop earrings to decadent chandelier styles. 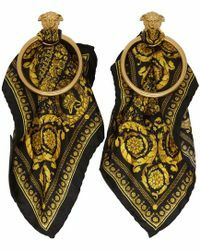 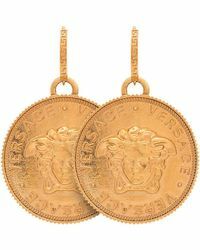 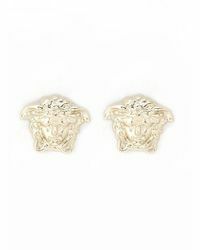 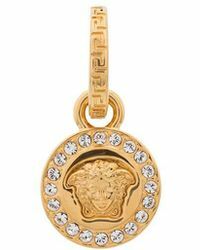 Consider a pair of these earrings a wardrobe investment that will pavé your entry into the exclusive world of Versace.